Our Heritage - Brown Funeral Homes, Inc.
From its humble beginnings in a wood shop in Academia, Juniata County to its two locations that serve all of Juniata County, the Brown Funeral Homes, Inc., has continued to provide the people of Juniata County with a high quality of service and attention to detail. The earliest records date back to 1845, from a ledger of Joseph S. Brown, a cabinet maker in Academia. 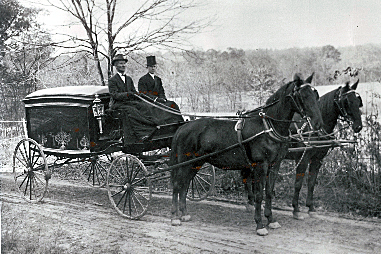 As it was, cabinet making and the funeral industry often found themselves thrust together out of necessity. Joseph's two sons, Joseph O. and Roland H. Brown, took over running the business in 1870.